Attend the Salem State/J.C. 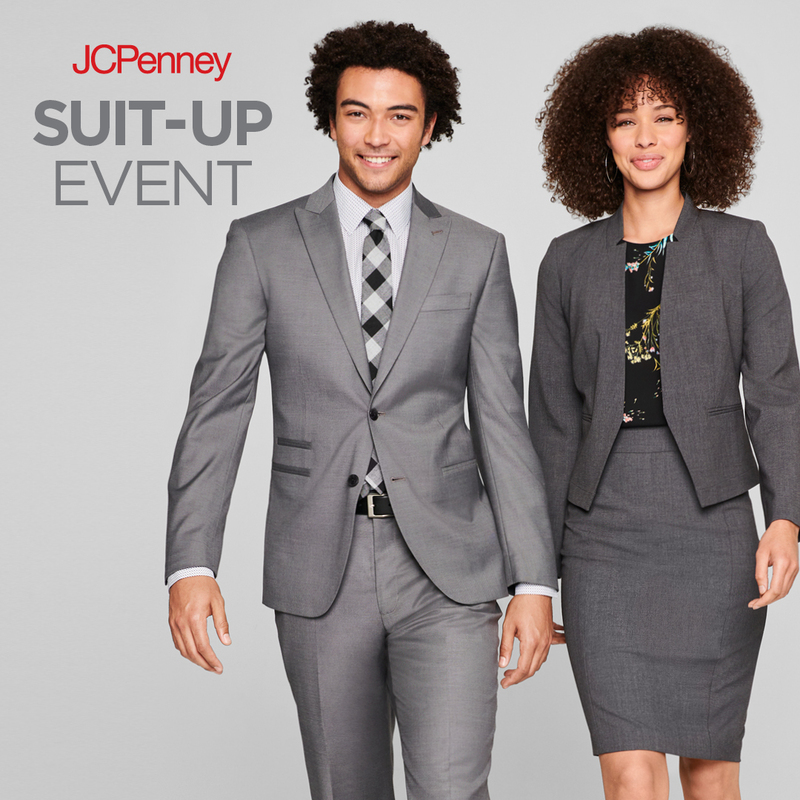 Penney Suit Up event and receive an EXTRA 40% off career dress apparel, accessories and shoes. Get everything you need for an interview or on the job at an affordable price. Sephora will be providing mini makeovers, samples and discount coupons for future visits. Don't miss this opportunity to buy what you need to dress for success at the Career Fair, on the job or at your internship. Make sure you bring your student ID to the event and RSVP on Handshake.